I stared at the cups, eyes widening. The man smiled, wickedly. The man’s smile became even broader. 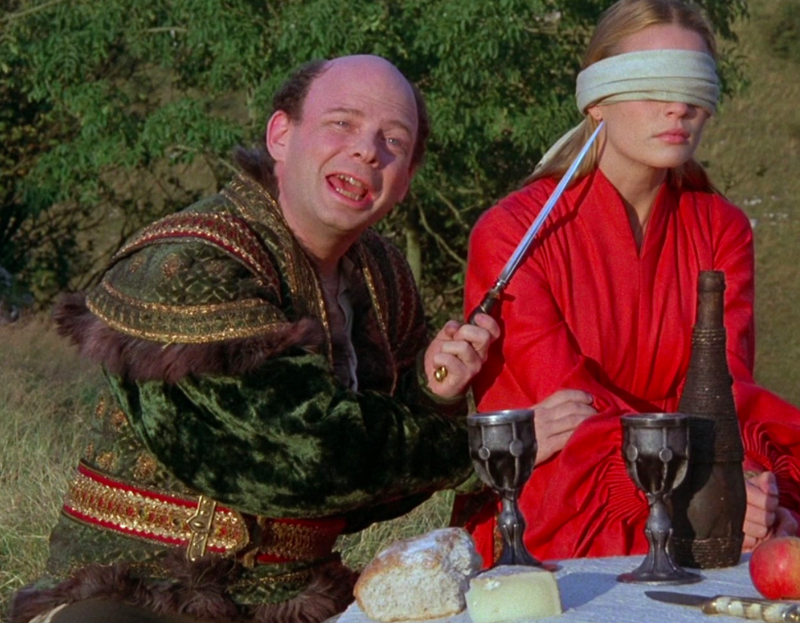 He waved his hand at the remaining three cups. Now, both he and I knew, it was a lot harder. I swallowed, looking at the three cups: Julian, Daniel or Rupert. 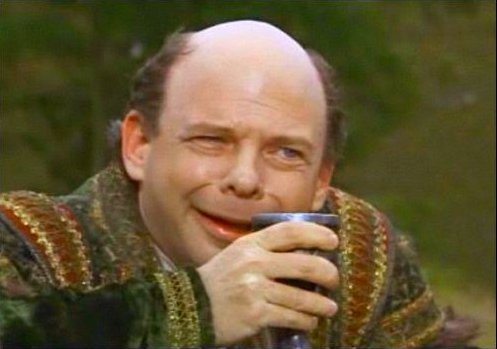 “I know, I know,” I said, looking once more from cup to cup. I hesitated, and didn’t pick up Julian’s cup and discard it as I had the Tory and UKIP cups. I smiled, but this time it wasn’t a happy smile. But I didn’t throw away Daniel’s cup either. The man grinned again. The man opened his hands wide. I held up mine, to stop him speaking. I pushed Julian’s cup aside, and it teetered and tottered, but didn’t quite fall. I sat back, closed my eyes, stuck my finger in the air, then reached out for a cup at random and drained it. “Did I chose the wrong cup?” I asked him, feeling myself gasping for breath. Immigration remains a key topic in this election – and not just on the lips of UKIP. All the main parties are part of what is effectively a consensus on immigration: that immigration is essentially ‘bad’. It’s that consensus that leads to the hideous inhumanity that makes it somehow politically acceptable to let people drown in their hundreds. It shouldn’t be like that, if we have any humanity left. The Tories and Lib Dems, who passed the Immigration Act 2014, have both been fuelling this message. Amongst other things that act – in many ways the most xenophobic piece of law in recent times – brings into action an increasing need to ‘check’ people to see if they’re illegal immigrants or not. Doctors, landlords, bankers etc etc are expected to check people’s papers to see if they’re what might loosely be called ‘the right kind of people’. That in itself fuels a process that suggests that some people are better than others. It’s not just immigration that is essentially ‘bad’: it’s the immigrants themselves. Labour are far from innocent. They abstained on the Immigration Act 2014, and have taken on the whole ‘immigration is bad’ agenda in a big way. 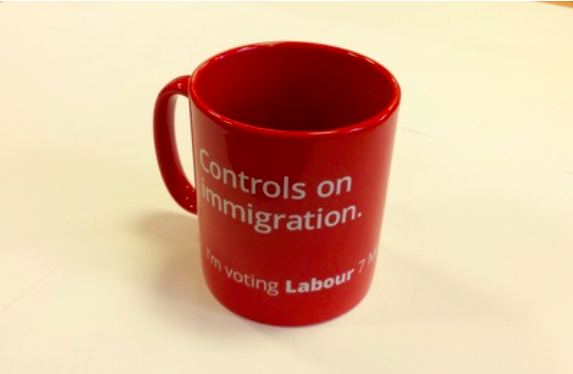 The infamous ‘controls on immigration’ mug isn’t an accident: it’s part of an overall agenda, accepting the ‘immigration is bad’ view, despite the strong moral, economic and cultural evidence to the contrary. Anti-immigrant feeling is strongest where there are fewest immigrants, migrants claim less in benefits than natives and make net contributions and so on and so forth, but somehow that is not worth arguing for. Instead we have three parties all pandering to the prejudices fuelled by UKIP and certain elements in the press. We have what ultimately amounts to a dehumanisation of immigrants. They’re not people, they’re migrants. They’re not men, women and children, they’re migrants, and a drain and a strain on resources. Slap that message on a mug, make a pledge here and a statement there. We need to keep ‘them’ out. They’re ‘flooding here’ (humans don’t ‘flood’ anywhere, only migrants). Better cut their benefits (even though they don’t actually claim many). Better to stop them coming (over) here. That kind of an approach leads in only one direction – to a place where Katie Hopkins can call migrants cockroaches. A place where letting men, women and children drown in their hundreds is acceptable. We need to rethink this from top to bottom. And yes, that means everyone involved in fuelling the myths. Whatever Labour strategist came up with the ‘five pledges’, let alone that hideous mug’, is part of the same story. They’re part of the spectrum that leads to calling people cockroaches and setting the gunboats on them. All the pious statements in the last couple of days by politicians – notably Lib Dem and Labour politicians – should be viewed in that context. You’re part of what brings this inhumanity to bear. Part of the problem.